The materials located at www.superherojacked.com, www.academy.superherojacked.com, and all subdirectories (collectively the “Site”), are provided by Superhero Jacked. By visiting or downloading any materials from this Site, you agree to these Website Terms and Conditions of Use (“Terms”). If you do not agree to these Terms, do not access or otherwise use the Site. Superhero Jacked reserves the right to update, modify or amend these Terms at any time, and any such updates, modifications or amendments will be binding on you. Because these Terms are binding upon you in connection with any use you make of the Site at any time, you should regularly check for changes before proceeding to use this Site. This Site as a whole, as well as all materials, images, text (other than user information), illustrations, designs, icons, photographs, video clips, audio signals, structure, layout, software, “look and feel,” and other elements contained on or otherwise making up this Site (collectively, the “Content”), are protected by copyright, trademark, trade dress, and other intellectual property laws and international conventions. Unless otherwise noted, all worldwide rights, titles, and interests in and to the Site and Content are owned or licensed by Superhero Jacked. 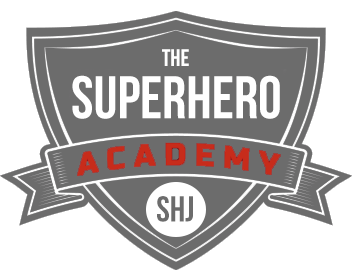 Superhero Jacked and the SHJ logo are trademarks or registered trademarks of Superhero Jacked and its subsidiaries in the United States and other countries. These trademarks may not be used without express permission from Superhero Jacked. Superhero Jacked grants you a limited, nonexclusive, nontransferable, non-sublicensable, right and license to access and use the Site and its Content for purposes of general browsing, participating in user forums and user submissions, and/or conducting business with Superhero Jacked. In all events, however, you shall not be permitted to, you shall not, and you shall not permit others to: (i) copy, adapt, display, distribute, publish, disseminate, transmit, store, sell, or use the Site and/or the Content for any purposes or in any manner other than as intended and expressly authorized in writing by Superhero Jacked; (ii) attempt to remove from the Site, download, copy, recreate, disassemble, modify, destroy, tamper with, deactivate, translate, reverse engineer, or decompile any software or other Content on the Site; or (iii) assign, sell, sublicense, lease, or otherwise transfer your right to use the Site or its Content. You may not reproduce any Content on your personal website, blog, social network, or any other online resource without Superhero Jacked’ express written permission or as allowed by any license terms entered into with Superhero Jacked. Superhero Jacked may terminate this license at any time if you are in breach of the Terms set forth herein. Upon termination, you will immediately destroy and make no further use of any downloaded materials or Content, and upon request, you will certify this to Superhero Jacked in writing. You must be at least 18 years of age to view any page or other correspondence or Content from this Site. You understand, acknowledge and agree that Superhero Jacked cannot and shall not be held responsible for any harm that is experienced, real or perceived, from viewing, following, or contributing, of any Content on this Site. You acknowledge that some areas of the Site may from time to time be restricted and accessible only to certain users via password. As part of the registration process, each user will submit his or her email address and select a password. You shall provide Superhero Jacked with accurate, complete, and updated account information. Failure to do so shall constitute a breach of these Terms, which may result in immediate termination of your account. You agree to access and use only those areas of the Site that have been authorized for your use and to refrain from using any password or account information of any third party. You agree to immediately notify Superhero Jacked of any known or suspected unauthorized use(s) of your account, or any known or suspected breach of security, including loss, theft, or unauthorized disclosure of your password. You shall be responsible for maintaining the confidentiality of your password. You agree not to disclose or share your password or other relevant account information with any third parties or to use your password for any unauthorized purpose. 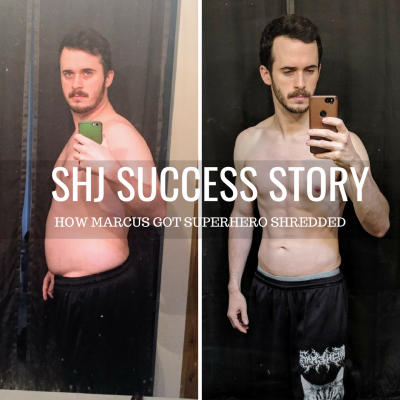 All products and services on the Site are sold by Superhero Jacked. Your placement of an order through the Site is deemed your acceptance of an order. All purchases must be made with an acceptable method of payment as stated at checkout, provided that Superhero Jacked reserves the right to change its accepted payment methods at any time. Superhero Jacked will provide notice if its accepted payment methods change after you place an order. All prices are quoted in U.S. currency and all orders must be transacted in the same. 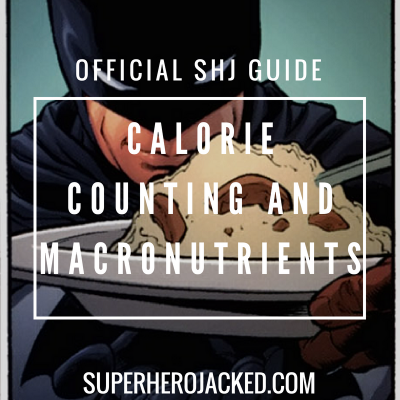 You represent that all information provided to Superhero Jacked when you place an order through this Site will be accurate, complete, and current. You are responsible for paying any applicable taxes and processing charges relating to any purchase you made through this Site. These Sale Terms are subject to change without prior written notice at any time and at Superhero Jacked’s sole discretion. By placing an order for products through the Sites, you agree to be bound by and accept these Terms in effect at the time of such order. We are unable to refund The Academy after time of purchase. The items in The Academy (including exclusives, but excluding forums, community, and other aspects) are able to be downloaded within minutes of accessing. What we offer instead is help customizing your routine and dedicated coaching, if you need. Superhero Jacked holds the rights to make changes to these policies at any time. The availability and pricing of Superhero Jacked’s Products and Services is subject to change without notice. If a product is not in available when you place an order (for example, not yet available or sold out), we will do our best to advise you when we anticipate the product will become available. Anticipated availability dates are subject to change. Except as otherwise agreed in writing by an authorized Superhero Jacked representative, any and all materials (including user- and visitor-generated materials) submitted to Superhero Jacked either via email, comment forms, or any other page hosted at this Site or its content aggregation systems will be considered non-confidential and non-proprietary (“User Materials”). You hereby grant Superhero Jacked a world-wide, non-exclusive, royalty-free, perpetual, sublicensable and assignable right and license to use, reproduce, publish, distribute, compile and display any User Materials submitted by you as Content on the Site. You waive any claim you have or may have under any theory of natural rights, including Droit Morale, or any right of attribution under the copyright law of any jurisdiction with respect to those User Materials, to the extent this waiver is recognizable under the law of the relevant jurisdiction. Superhero Jacked reserves the right to alter, remove, re-post, re-purpose, market, or trade any such User Materials. Superhero Jacked will have no obligations with respect to such materials. By submitting or transmitting User Materials, you hereby confirm that your contribution of any such material is your own original work and does not infringe any third party rights or laws. Please note that all User Materials submitted may be viewable to anyone on the Internet, and may be found via search engines. Please be cognizant of what you post. We cannot delete user accounts or posts once created. THIS SITE AND ALL MATERIALS AND CONTENT, INCLUDING PURCHASES OF SUPERHERO JACKED GOODS AND SERVICES FROM THIS SITE, ARE PROVIDED “AS IS” WITHOUT ANY EXPRESS OR IMPLIED WARRANTY OF ANY KIND INCLUDING WARRANTIES OF MERCHANTABILITY, NONINFRINGEMENT OF INTELLECTUAL PROPERTY, OR FITNESS FOR ANY PARTICULAR PURPOSE. IN NO EVENT SHALL SUPERHERO JACKED OR ITS OWNERS, AFFILATES, EMPLOYEES, OFFICERS, DIRECTORS, AGENTS OR CONTRACTORS BE LIABLE FOR ANY DAMAGES WHATSOEVER (INCLUDING, WITHOUT LIMITATION, DAMAGES FOR LOSS OF PROFITS, BUSINESS INTERRUPTION OR LOSS OF INFORMATION) ARISING OUT OF THE USE OF OR INABILITY TO USE THE CONTENT, MATERIALS OR IDEAS ON THE SITE, EVEN IF SUPERHERO JACKED HAS BEEN ADVISED OF THE POSSIBILITY OF SUCH DAMAGES. WITHOUT LIMITING THE FOREGOING, IN NO CASE SHALL THE ENTIRE LIABILITY OF SUPERHERO JACKED, WHETHER IN CONTRACT, WARRANTY, TORT (INCLUDING NEGLIGENCE, WHETHER ACTIVE, PASSIVE OR IMPUTED), PRODUCT LIABILITY, STRICT LIABILITY OR OTHER THEORY, ARISING OUT OF OR RELATING TO THE USE OF OR INABILITY TO USE THE SITE OR SUPERHERO JACKED PRODUCTS AND SERVICES EXCEED ANY COMPENSATION YOU PAY, IF ANY, TO SUPERHERO JACKED FOR ACCESS TO OR USE OF THE SITES OR EXCEED THE PURCHASE PRICE FOR SUPERHERO JACKED PRODUCTS AND SERVICES. BECAUSE SOME JURISDICTIONS PROHIBIT THE EXCLUSION OR LIMITATION OF LIABILITY FOR CONSEQUENTIAL OR INCIDENTAL DAMAGES, THE ABOVE LIMITATION MAY NOT APPLY TO YOU. Superhero Jacked and its agents or contractors further do not warrant the accuracy or completeness of the information, text, graphics, links, or other items contained within this Site or its Content. Superhero Jacked may make changes to this Site or its Content at any time without notice. Some Content found on the pages of this Site is created by members of the public. The views expressed are theirs and unless specifically stated are not those of Superhero Jacked. Superhero Jacked accepts no responsibility for any loss or harm incurred from the use of this Site or any of its Content. The information on this Site is intended solely for entertainment purposes and may not be used as a substitute for professional advice and/or information, as circumstances will vary from person to person. You should not act or rely upon this information without seeking professional advice. Do not attempt any of the suggested actions, solutions, remedies, or instructions found on this Site without first consulting with a qualified professional. The materials are not intended to be nor do they constitute actionable professional advice. Transmission of this information is not intended to create a professional-client relationship between Superhero Jacked and you. The owners, editors, contributors, administrators, and other staff of Superhero Jacked are not qualified professionals, and are simply aggregating information found online for entertainment purposes only. By using this Site, you hereby forfeit any and all claims, past, present, and future, relating to your use of this Site and its Content, against the owners, officers, directors, agents, contractors, editors, contributors, administrators, and other staff of Superhero Jacked. Superhero Jacked is not responsible for the contents or reliability of any other websites to which we provide a link, and we do not, expressly or otherwise, endorse the views and/or information expressed within those websites. Superhero Jacked makes no warranty or claim that functions available on this Site will be uninterrupted or error free, that defects will be corrected, or that the server that makes it available, nor the Content itself is and/or will be free of viruses, bugs, or other malicious code. You acknowledge that it is your responsibility to implement sufficient procedures and virus checks (including anti-virus and other security checks) to satisfy your particular requirements for the accuracy of data input and output, and for the security of yourself and the device used by you to view any Content from this Site. Superhero Jacked and its officers, employees, contractors, or content providers shall not be liable for any loss or damage arising from or otherwise in connection with your use of any Content, information, function, or service this Site or other related location (such as content feeds, links, emails, letters, documents, and other company products or correspondence). You agree to indemnify, defend and hold harmless Superhero Jacked, its contractors, licensors, directors, officers, owners, employees and agents from and against any and all claims and expenses, including attorneys’ fees, arising out of your use of the Site, including but not limited to your violation of these Terms. Though Superhero Jacked makes a reasonable effort to maintain the resources of this Site, they will, from time to time, become out of date, be incorrect, erroneous, or otherwise inappropriate. Superhero Jacked makes no commitment to update the materials or ideas contained within this Site or its attached documents. As noted above, by using this Site you agree that you will not follow any instruction, suggestion, step, list, tutorial, or other Content on this Site or any of its Content posted elsewhere until you have appropriately consulted with a licensed professional who is unrelated to this Site or its parent company in any way. These Terms and other policies posted on this Site constitute the entire agreement between you and Superhero Jacked in connection with your use of this Site and its Content, and supersedes any prior agreements between you and Superhero Jacked regarding use of this Site, including prior versions of these Terms. Superhero Jacked reserves the right at its sole discretion to restrict your access to the Site, suspend or terminate your account and/or subscription to the email list. Termination will be effective without notice. In the event of termination, the disclaimers, protection of Superhero Jacked’s Intellectual Property, limitations of liabilities and indemnification set forth in these Terms will survive. These Terms and Conditions will be deemed to include all other notices, policies, disclaimers and other terms contained in this Site, except that in the event of a conflict between such other terms and the terms of these Terms, these Terms and Conditions will control. Superhero Jacked reserves all rights not expressly granted in these Terms. You may not assign any rights granted to you in these Terms. Nothing in these Terms shall constitute a partnership or joint venture between you and Superhero Jacked. The failure of Superhero Jacked at any time or times to require performance of any provision in these Terms shall in no manner affect its right at a later time to enforce the same unless waived in writing. These Terms and Conditions were last updated on June 11, 2017.